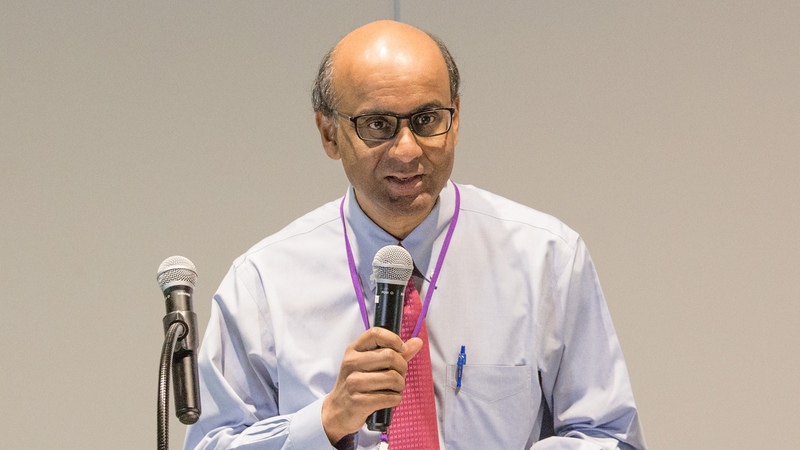 “Indians are actively involved in the grassroots community - in fact, Indian representation among grassroots volunteers (over 13 per cent) is higher than our share in the population,” asserted Deputy Prime Minister of Singapore Tharman Shanmugaratnam while speaking as the Guest-of-Honour at the 40th anniversary of the People’s Association Indian Activity Executive Committees (IAECs) or Narpani recently. In the programme, more than 1,000 grassroots leaders gathered at the Raffles City Convention Centre. “Multiracialism and meritocracy have indeed been the basis for our progress, in education or careers or business or in the arts or in sports. But it is much more than a matter of progress or achievements. It is a matter of identity, and why we feel Singaporean at heart,” he said. That growing integration of Singaporeans, on the ground, is also what we celebrate on this 40th anniversary of Narpani Pearavai. Tharman also spoke about the important leader of the IAEC Chandra Das who played a pioneering role in initiating the formation of the Indian Cultural Groups at the constituency-level in 1977; and was the first Adviser to Narpani Pearavai for 10 years from 1987. Shedding light on the important leaders of the IAEC, he said, “We have been fortunate to have in our community, highly committed grassroots volunteers. They have been led by a series of outstanding GRLs, who took turns to chair the Narpani Pearavai Council. Beginning with Capt (Ret) M Govindarajoo, who oversaw the start-up of the IAECs, followed by Maj (Ret) M K Thanaseelan, who formed the Narpani Pearavai Youth Committee, then Mr S Yogeeswaran, and most recently, the indefatigable Mr P Thirunal Karasu, who formed Periyor Mandram and Narpani Tamil Toast Masters, drove the formalisation the IAECs, and organised many National level events. Tharman also spoke about a three-step way to attract IAECs work and engage with the community. Firstly, attract new, younger volunteers and develop them into community leaders. Secondly, do more work on the ground to keep Singapore society cohesive. Thirdly, remember and learn from our past, and keep alive the heritage we inherited. Exhorting people to come forward to volunteer, he said, “Please encourage others to get involved, volunteer, and especially encourage the younger members of the community to join in this national effort to remember and learn from our history as we prepare for the future. As a community, we can record many stories, strengthen our collective memories and ensure that the next generation has a deep sense of their history and heritage.